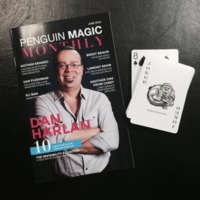 Today, when you order "Penguin Magic Monthly: June 2016", you'll instantly be emailed a Penguin Magic gift certificate. You can spend it on anything you like at Penguin, just like cash. Just complete your order as normal, and within seconds you'll get an email with your gift certificate. Wow I got this free for spending $50+ but if I had to buy it it is too expensive and it is just a magazine. I loved reading it but it is small and so I lost it but still learned from the book some tricks! This was a delightful surprise. It takes me back to Ireland's Trick Talks, but better. This is an excellent magazine, from someone who has been buying magic magazines for over forty years. This is practical and excellently designed with a lot of real information for workers. I was really surprised. I received my copy of the June 2016 issue of Penguin Monthly gratis, for ordering more than $50 of supplies. It is a small magazine, approximately 6"x9" and about 20 pages total, but it is a fun, enjoyable read. The articles appeal to a wide spectrum of the magic disciplines, so there is likely to be something for all tastes in each issue. 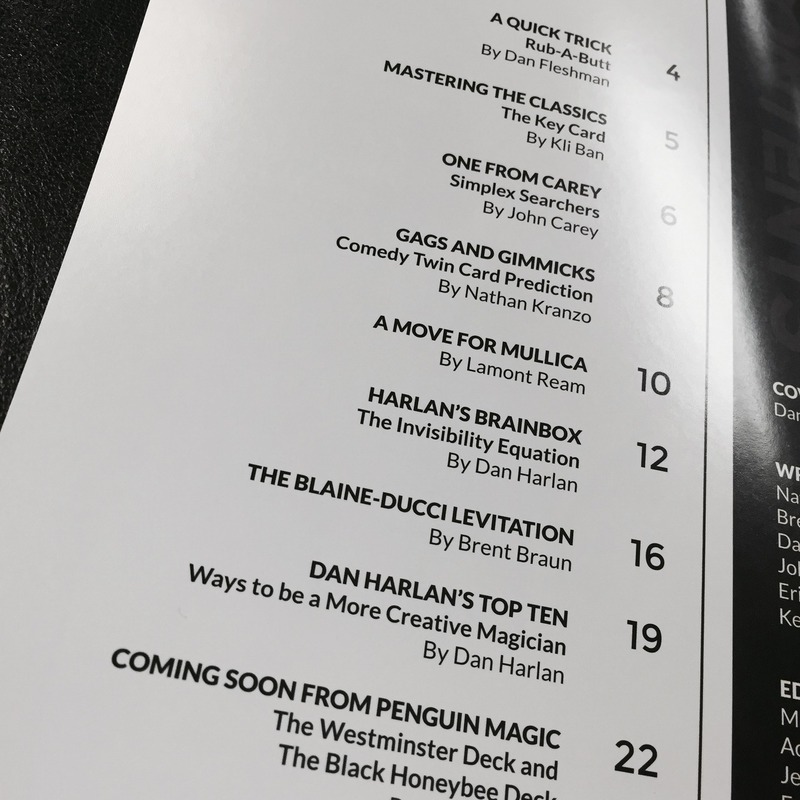 Penguin Magic Monthly has not yet capture either my heart or my imagination. It is not a bad effort, but good magazines of any type are terribly difficult to create. Eventually, this will be a good publication but it is still young. 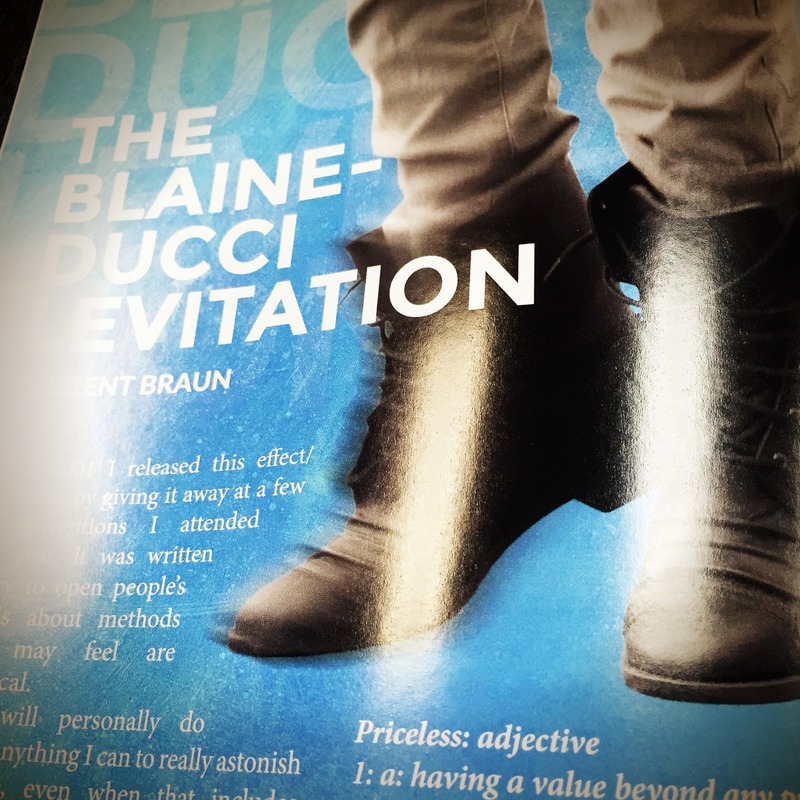 The blaine duccie levitation is a super valuable method that actually works. And can be used with other effects. If you are skillful performer and not afraid to try something out of the box this might just make your reputation. And all you need is a few spectators and your phone camera! DAN! Glad to see Dan on the cover. Inside the edition, its chock full of goodness. Thanks you all for putting this in my order. 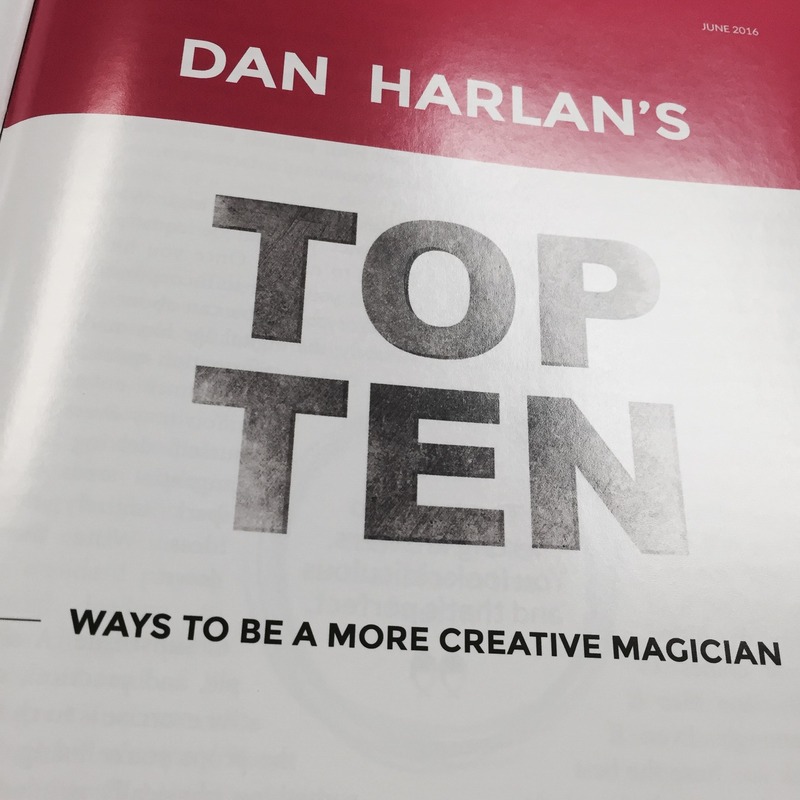 I can (in a very straightforward manner) say that the magazine keeps it's value in two respects, namely both Dan Harlan articles. They are the main hooks/strengths to this article, and are the reason I can say this magazine is fairly priced. I personally feel Dan was really really dang passionate, and he communicated information the magic community is in dire need of: Talk on the I.T. where it is most critical, and ways to truly be more creative. Very VERY useful. Sadly, I felt the other material was lackluster, and did not "solve a inherent problem" as Dan did. This "solving a inherent problem" should be the template for all future articles. Dan followed the template/met the requirements, and what resulted was priceless info. The past issues have been great. When you guys had Jimmy T. writing articles on Busking and street performing, I was overjoyed as his articles dealt with the inherent problem of "How to busk...and be successful!" I want more of these articles with this format penguin. 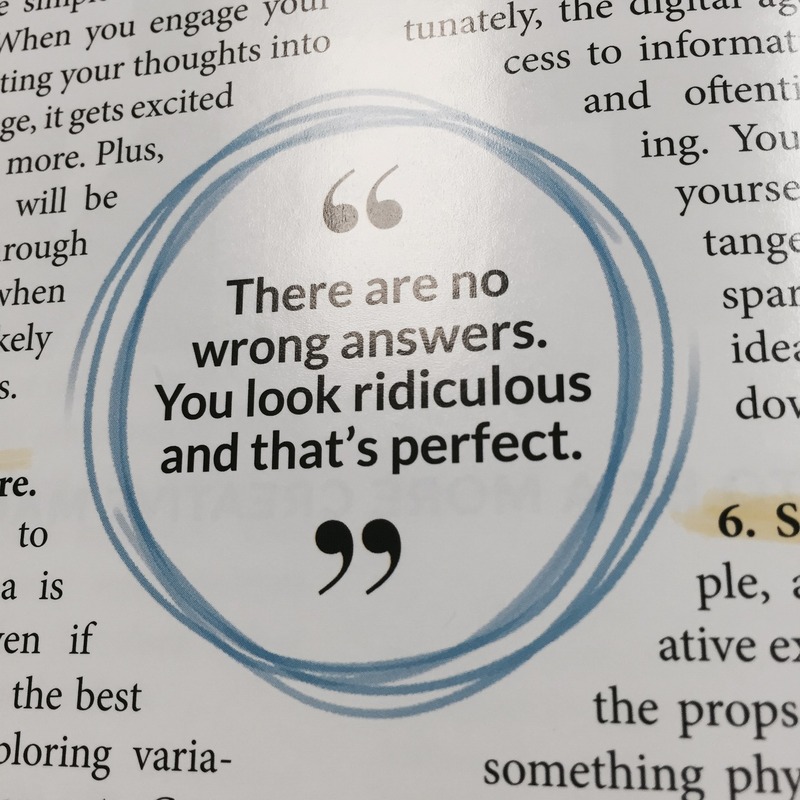 Even in the free trick article, solve and give away a solution to a longstanding problem. Be expressive, and be emotional! And your fans will love you for it. Keep it up, and keep solving those problems!! !